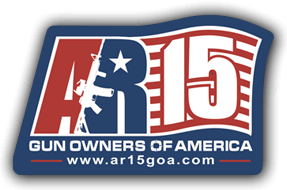 AR-15 Gun Owners of America – AR-15 Gun Owners of America (AR15GOA) believe in the Right to Bear Arms for all legal citizens of the United States of America. We also believe that right “Shall not be Infringed” at any time by our government or elected officials. AR-15 Gun Owners of America (AR15GOA) believe in the Right to Bear Arms is for all legal citizens of the United States of America. We also believe that right “Shall not be Infringed” at any time by our government or elected officials.